The airlines business is a competitive one, especially with travel deals and budget fares promotions ongoing all the time. So when I travel, I never believe in paying more than I absolutely have to. And given that most of my flights are to short-haul locations (under 7 hours), I'm a huge fan of always going with budget airlines whenever I have to fly. I've shared previously about tips on how to pay less for budget flights here and that I typically avoid all the frills that budget airlines try to charge for, in order to earn an extra buck. Travel insurance? No thanks, I'll buy my own or claim it for free via my credit card. Drinks? No thanks, I'll bring a water bottle and fill it at the airport's water coolers. Internet? No thanks, I can survive without it for a few hours. Eye mask, blanket or neck cushion? No thanks, I'll bring my own. In-flight entertainment? No thanks, I have my own. It doesn't make sense for me to purchase in-flight entertainment because it costs that much for just a few hours, or until my flight lands. If I pay for it on each of my budget flights, those costs will very quickly add up! However, a few months ago I was introduced to Viu Premium, compliments of my friend (whom I've known for over a decade) who works there. This app has made a huge difference in my life! I was already familiar with Viu because I used them to watch Descendants of the Sun back in 2016 when they first launched, but never really considered upgrading to a paid subscription to Viu Premium back then. But ever since Viu included the unlimited movie downloads for Premium, I was sold! Considering how I'm used to watching movies at least 2 - 3 times every month in the cinemas, that's $20+ every month. In addition, I sometimes watch Youtube shows while commuting to work, and that causes me to easily exceed my monthly data limit, so it easily costs me $10 - $30 extra every month if I'm not careful. 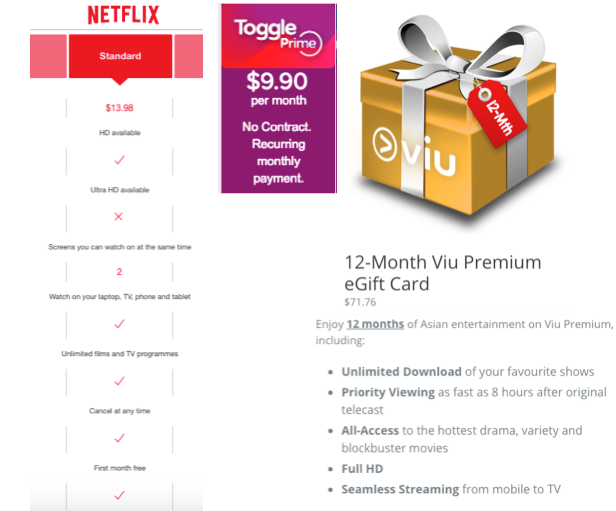 All 3 options come with unlimited films and TV programmes in HD, but Viu Premium is the most affordable at only $5.98 a month. What's more, here's another cool hack I recently discovered. Each Viu Premium account can be logged onto 3 mobile devices and 1 computer concurrently, so if you're sharing your account with family or friends and splitting the cost, that could work out to be just $1.50 per person every month! I can save on data by pre-downloading shows via my home WiFi and watch them offline while I'm on the go. I use this method mainly to save money while keeping myself thoroughly entertained on a budget flight (even though my phone is on airplane mode), but you can do this on your morning / evening train commute as well! Check out all the movies I downloaded for one of my flights. Missed catching Soong Joong Ki in cinemas? His movies are on Viu Premium too! There's also plenty of Asian movies on Viu Premium, even if you aren't the biggest fan of Korean films. In fact, some of the movies that Viu has brought in were box office hits in their native countries, but never made it to Singapore shores, such as "My Annoying Brother" and "A Man and A Woman". And much like Netflix and Toggle, Viu also has its own original productions which can't be found elsewhere. 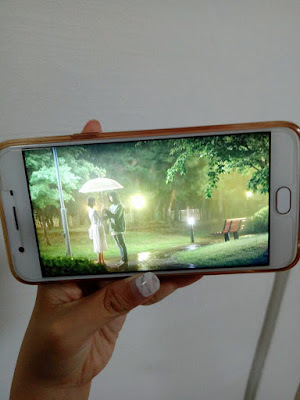 I'm absolutely OBSESSED with this K-drama and have been raving about it non-stop. If you haven't watched it yet, you're missing out! The best part? The kind folks at Viu are offering Budget Babe readers a further $10.76 off, so it'll only cost you $61 for an entire year's worth of access! 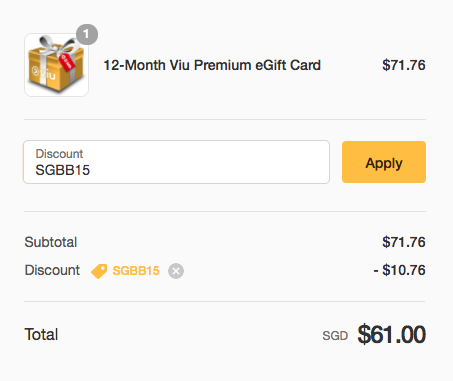 Simply enter "SGBB15" to get a 12-month subscription to Viu Premium or click here for my affiliate link. Now you know my secret as to how I get to watch movies on budget flights without having to fork out anything extra! Disclosure: This post is a sponsored collaboration between Viu Premium and SG Budget Babe, where the kind folks gave me an entire year worth of free access to try it out a few months ago and I fell in love! I've also previously shared about them (not paid, but yes sponsored through a free 1-year subscription) here. They offered such a compelling reader's promotion this time that I couldn't help but share! All words and opinions here are of my own. is it mostly korean shows? does it have chinese/HK movies or series? Hi, is Hooq by Singtel also operating in the same way? Similar! Thanks for highlighting Hooq to me man, I've never considered them before nor really paid much attention since my family's TV is on Starhub, but now that you mentioned it I went to check it out! - Movies available from 90 days of cinema release and TV shows on same day as U.S. telecast.